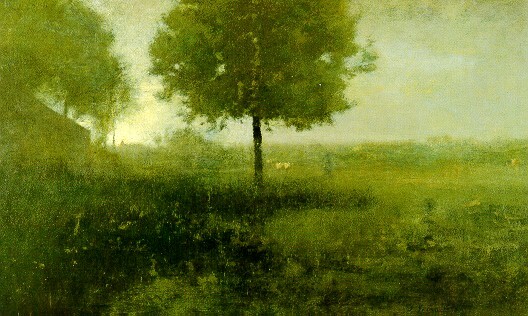 I have been thinking of the American Tonalism over the past month as I have been working on a particular commission. 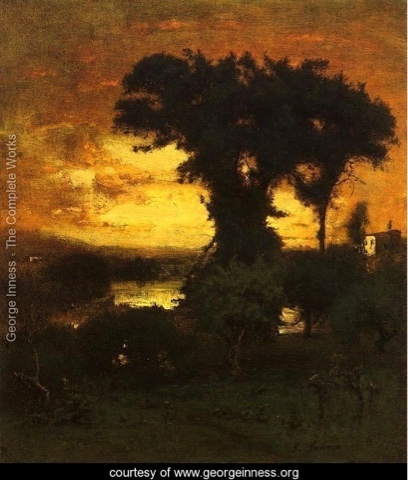 One of my favorite painters and one who is linked with this movement is George Inness (1825-1894). 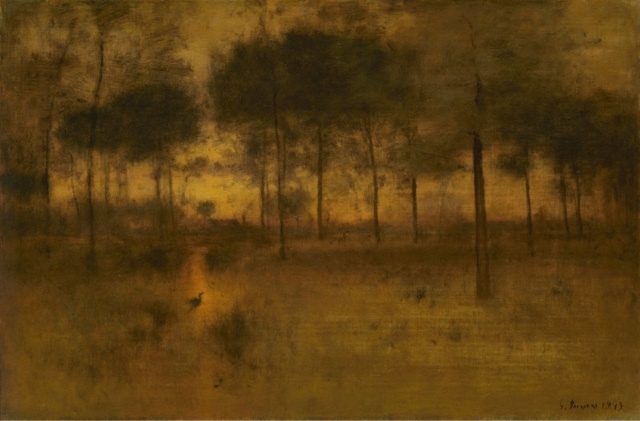 The paintings of his late career are among my favorite. Inness was quoted as saying that "The true use of art is, first, to cultivate the artist's own spiritual nature." I can see in his work that he was interested not only in the plastic material world but another one that is harder to describe. 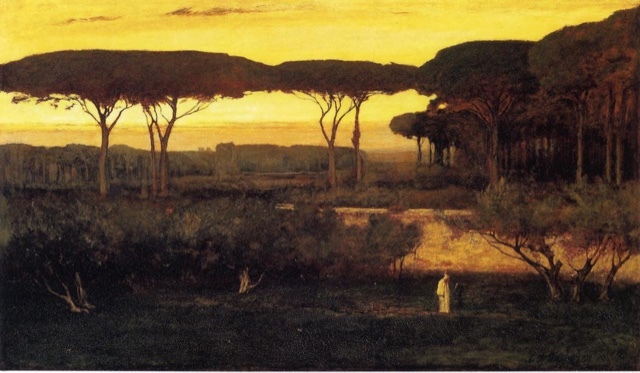 Inness died in 1894 at Bridge Allen in Scotland. The end of his life sounds like something from a film! According to his son his last words were "My God! oh, how beautiful!" as he was viewing the sunset, and fell to the ground and died minutes later.